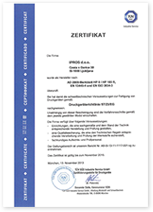 Design, operation, control and optimization of processes. Ipros aspires to provide its customers with cost effectiveness, safety and sustainability by means of an integrated understanding of their requirements and needs. 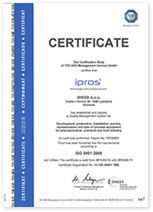 Ipros is a specialized company for the design and development of process solutions for the dairy, brewery, food, pharmaceutical, and chemical industries. The preparation of: basic and detailed designs, specifications of material and labour, URS, 3D modelling, construction, detailed drawings for manufacture, ‘as built’ design/projects, technical documentation, validation documentation, validation execution. The wide range of products provides solutions for the most varied tasks and challenges in a whole range of branches. At the same time we help to cut production costs and significantly and sustainably reduce the impact on the environment. Ipros heat exchangers cover numerous application areas. It therefore provides a broad portfolio of heat exchangers. Ipros plate heat exchangers and tube heat exchangers are optimised for all feasible applications. The Ipros division for heat exchangers offers the best possible solutions all at one source. At the same time, it provides strong planning efforts in all areas of heat transfer. Valves, pumps and stainless steel equipment representing high-quality process engineering components from our distribution division ensure smooth processes and cost-optimized production flows in virtually all important industrial sectors. We are constantly on the lookout for new workforce in various fields. We have a vision pointed towards the very top of producers of process industry systems in Europe, therefore we are looking for ambitious, goal driven and highly motivated co-workers.